Written by Steve Burge on June 21, 2017 . The Permissions add-on allows you to decide your users’ publishing capabilities. By default, most WordPress users have access to the “Publish” button. If you need more flexibility, then PublishPress Permissions is the solution. You can decide who gets access to the “Publish” button! By default, most WordPress users have access to the “Publish” button. 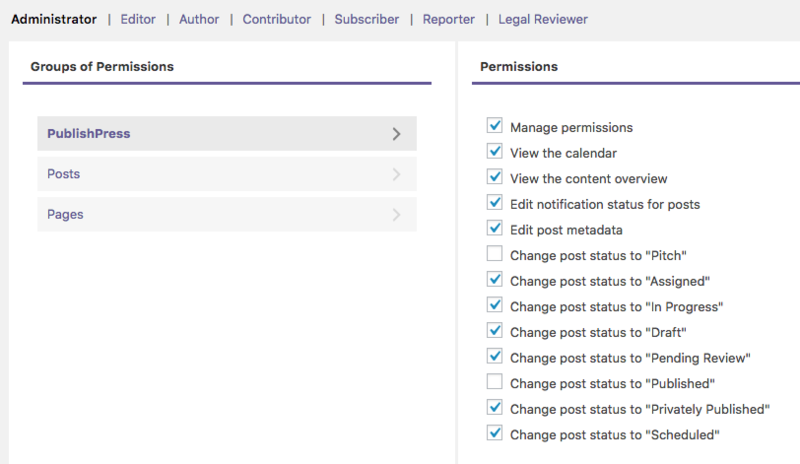 With PublishPress Permissions, you can decide who gets access to the “Publish” button. Take a look at the image next to this text. The image shows that the “Publish” button is hidden for this user. 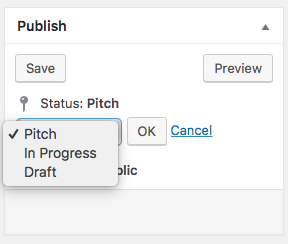 They can only send content to the “Pitch”, “In Progress” or “Draft” statuses. This image below shows how much control you have over your users’ permissions. If you haven’t used PublishPress before, you should know that it allows you to create your own publishing statuses and user groups. So, in short, you can customize your publishing statuses, user groups, and the permissions that link them together. With PublishPress and the Permissions add-on you have a really powerful publishing system! Metadata is the extra information that you can add to the right-sidebar, next to your posts. 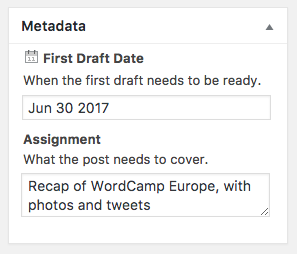 For example, the editor of a site can set a First Draft Date and enter Assignment details. However, you wouldn’t want your content creators to edit this metadata. After all, if they’re running behind schedule they could move their deadlines and change their assignments! So, with the PublishPress Permissions add-on, you can decide which user groups can edit metadata.